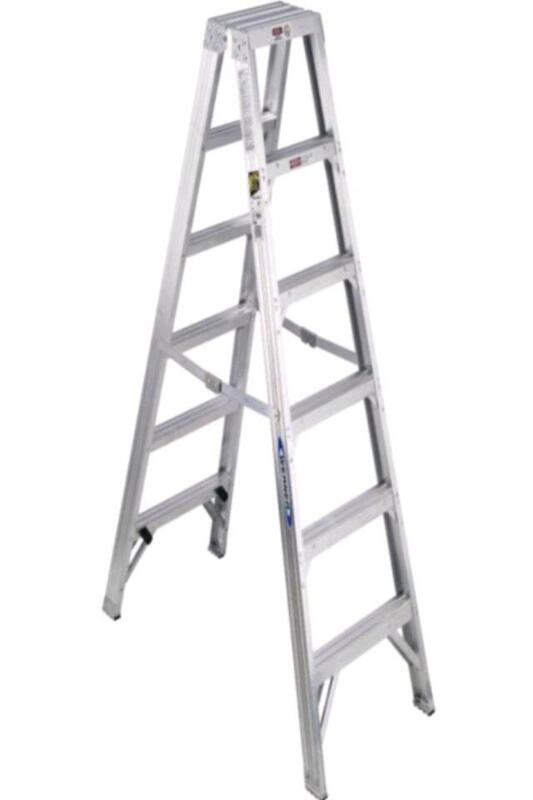 The 6' step ladder weighs 19lbs with dimensions of 6"H X 22 1/2" X 7" when folded and 42" X 22 1/2" base when open. Top dimensions of 12 1/2" X 7" and pail holder dimensions of 10" X 8 1/2". Capacity of 225lbs.